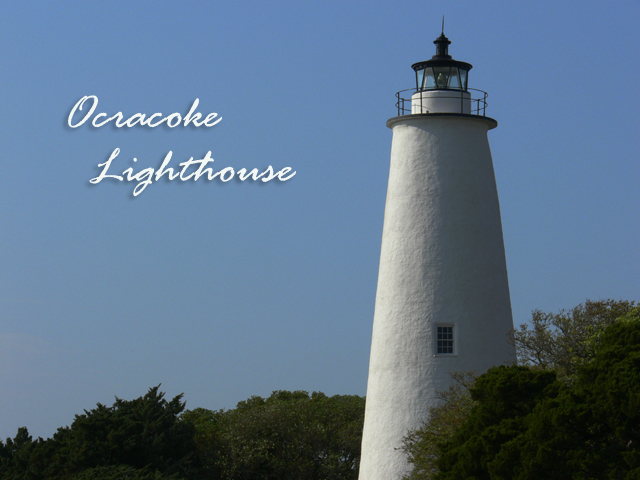 is the oldest continually operating lighthouse on the NC Coast. tapering to two feet wide at the top. and boiling water together and applying it, while still hot, to the exterior. 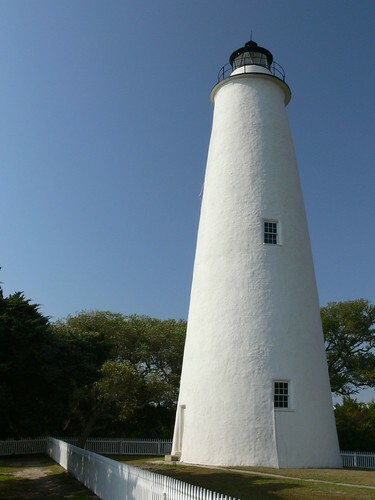 The Ocracoke Lighthouse was electrified in the early 1900s. The present light is equal to 8,000 candlepower and casts a stationary beckoning beam. Its beam reaches a distance of 14 miles. Fully automated, the lighthouse no longer needs a resident lightkeeper to tend to its daily needs. 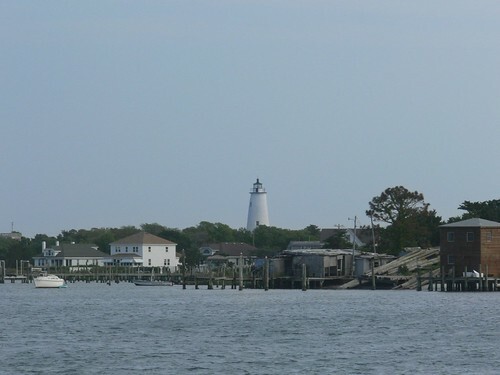 The United States Coast Guard now oversees the operation of the light. although the site can still be visited daily. No I really miss the NC coast! Beautiful pictures. I've always wanted to go up to the top of a lighthouse like that. The view must be awesome! What a beautiful lighthouse, and superb shots. Thanks for describing the composition of the white exterior. It's luminous! For me, that's what a lighthouse should look like,... no stripes, no crazy design,... just basic, beautiful lighthouse! Nice! I love light houses, they are so mysterious! i love lighthouses. these shots capture exactly why. I love lighthouses - these are great shots of this beautiful place. I would never have had the patience to put hot lime mix on a building. Nope. OK: rice?? cooked or raw? totally beautiful... I have a lighthouse fetish, what can I say? That looks great. More things in NC to add to my touristy list!!! i like its name and the textured white finish. I heart lighthouses. They are really interesting building. I think you have done this one proud. Nice shots. the first picture looks like a postcard! I absolutely love lighthouses and hope to see this one in real life sometime in the future.